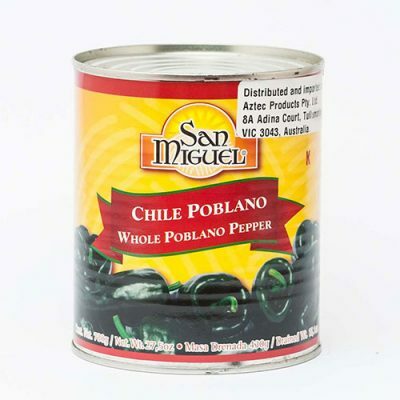 Our canned chillies are a cupboard-found staple for Mexican cooking. Chilli peppers originated in Mexico and are part of the Capsicum family of nightshade plants. They have been used for centuries and date back to the age of the Aztecs, where they were eaten with tortillas, meats and beans on a regular basis. It is a spice used in many Mexican cuisines to add heat and pungency to dishes. Canned chillies are a quick and convenient way to add spice and flavour to a dish or sauce. Chilli is a good source of antioxidants, including vitamin C and carotenoids. It is thought to potentially improve insulin regulation, as well as increase metabolism. Canned chillies are a great alternative to fresh and dried as they absorb flavour and mature as they are sealed. They can be canned with a variety of other ingredients to increase flavour such as herbs, olives, beans and other chillies for a more varied flavour. This helps you when you cook, as the canned chillies have all you need in terms of flavour and spice so you don’t need to worry too much about loading up on seasoning. The shelf-life of chillies are also increased once they are canned, as they are preserved inside the tin. Once opened, the fresh chillies can be stored for a few days in the fridge. 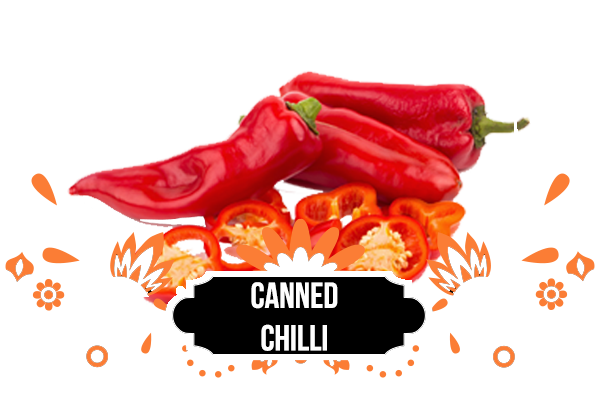 Used in many different cultures, canned chillies most prominently feature in Tex-Mex, Indian, Chinese, Thai and Korean dishes. Depending on the plant and maturity, canned chillies can vary in heat. There are many types of popular chilli peppers such as cayenne, ancho, jalapeno, New Mexico, poblano and pasilla. The hottest chilli in the world at the moment is the ghost chilli pepper, which is known to be a tear jerker! 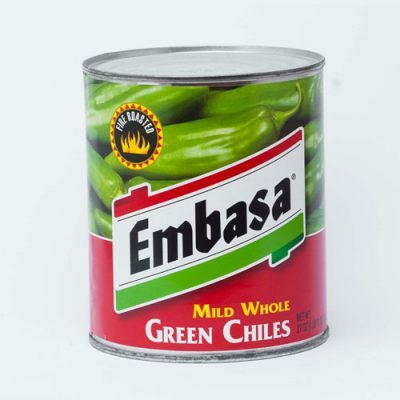 For long lasting and flavourful canned chillies, have a look at our range today.